In this week’s blog, I refer to: The Ministry for Housing, Communities & Local Government; Social Housing Green Paper; Right to Buy; Borrowing Cap; Local Government Association; European Union; Brexit; City of London; Local Government Chronicle; Northamptonshire County Council; Service Charges; Training & Seminars. The Ministry for Housing, Communities & Local Government finally published its Social Housing Green Paper last week. It aims to rebalance the relationship between residents and landlords, tackle stigma and ensure that social housing can be both a stable base that supports people when they need it and support social mobility. They also published a consultation paper alongside the Green Paper on ‘The use of receipts from Right to Buy sales’. The consultation on the Green Paper is open until 6th November 2018 while the consultation on ‘The Use of receipts from Right to Buy sales’ closes on 9th October 2018. The Social Housing Green Paper has been long-awaited and has finally been published during the Parliamentary summer recess. It addresses a range of housing issues but from the point of view of local authority housing finance the main implications are the proposed changes to the way in which new council housing is supplied and the proposed new flexibilities in the use of capital receipts from ‘right to buy’ sales. Local authorities have welcomed most of the proposals, not least the abandonment of the policy of obliging local authorities to dispose of high value council homes and the additional flexibilities around the use of capital receipts. 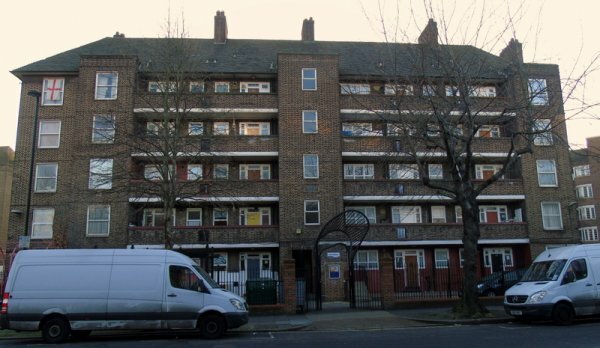 However, local authorities also complain that the Social Housing Green Paper does not address the fundamental problems that prevent them from building more council homes and increasing the stock of social housing. Since 2012, local authorities have consistently argued that the ‘borrowing cap’ should be either raised significantly or abolished thus allowing them to borrow to fund the building of new council homes. The government’s response has been to offer a limited scheme to raise the ‘borrowing cap’ for specific schemes that address housing need only in areas that the government consider to be under significant housing pressure – and this scheme had already been announced before the publication of the Social Housing Green Paper. Ever since the introduction of the ‘Right to Buy’ in 1980, local authorities have been unable to replace the homes that have been sold with new council homes. In 2012 when the reinvigorated ‘right to buy’ scheme was introduced the government stated that it would ensure that the additional council homes that would be sold would be replaced on a ‘one-for-one’ basis, but in practice this has not occurred. Many in the sector would like to see the ‘right to buy’ reformed so that it would no longer lead to a net loss of council housing stock, but the Social Housing Green Paper does not include any proposals of this nature. Neither does the Social Housing Green Paper propose any increases in the affordable housing programme. Consequently, the Social Housing Green Paper is seen by many in the sector as a missed opportunity. I have written a briefing paper: ‘Social Housing Green Paper: The Financial Implications for Local Authorities’ that focuses on those aspects of the Green Paper that have implications for local authorities and for finance, especially those that relate to expanding supply and supporting home ownership; and on the consultation on the use of receipts from Right to Buy sales. This briefing paper summarises those issues and the reactions of the sector as well as providing some commentary. To view or download your copy, please click here. Laws regulating local government services. Regeneration and other funding sourced from the European Union. The delivery of public services and benefits. Ports, public health and local regulation. Unfortunately, I do not see much evidence that things are likely to get better! Our next seminar is on ‘All You Want to Know about Service Charges in Social Housing’ and will be held in London on 11th September 2018. Service charges are an integral part of landlords' work in financing value for money services and sustaining customer satisfaction. They have always been relatively complex but with increased financial challenges and legal and financial complexity there is an increased need to understand how service charging works. This seminar gives an introduction and overview to this important subject and is fully up to date with all developments. This seminar is proving very popular, but we still have a few places available. For more information or to make a booking, please click here.